Daniel Nestor and Edouard Roger-Vasselin won their first title together at the Western & Southern Open, rolling away from the start for a 6-2, 6-2 victory over Marcin Matkowski and Nenad Zimonjic. The women’s final took the Grandstand court next, with sister duo Hao-Ching Chan and Yung-Jan Chan of Chinese Taipei earning at 7-5, 6-4 win against fourth-seeded Casey Dellacqua and Yaroslava Shvedova. 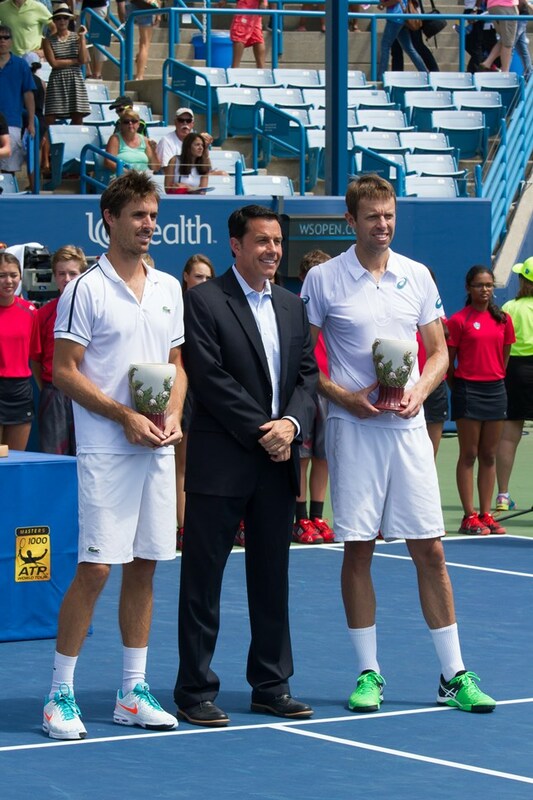 It was Nestor’s record-tying fifth doubles title at Cincinnati. The 42-year-old’s previous title here came in 2009 with Zimonjic, his opponent in the final. Nestor and Roger-Vasselin faced no break points while breaking their sixth-seeded opponents four times. In total, they won 67 percent of the points on the Grandstand court. In the women’s final, the Chan sisters needed a rally early, reeling off four consecutive games from 5-3 down to take the first set 7-5 off Dellacqua and Shvedova. The winning pair saved all three match points they faced and converted one to win the second set 6-4 and the match. It was their fourth title together, first this year. Nestor now has 88 career titles, 29 of them at ATP Masters events … This was Roger-Vasselin’s first ATP Masters title, through he did win the 2014 trophy at Roland Garros … Chan and Chan have two titles together this year, the other one coming in Pattaya City … Hao-Ching Chan is teaming up with Casey Dellacqua next week at the Connecticut Open.